(GTC) (Istanbul) 2006 - 2007. Photos. Framable Color Prints and Posters. Digital Sharp Images. Aviation Gifts. Slide Shows. 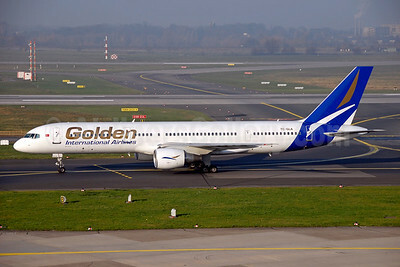 Golden International Airlines Boeing 757-2Q8 TC-GLA (msn 30044) DUS (Ton Jochems). Image: 945538.